Sure enough, I looked on her homework and found an assignment asking her to tape a piece of paper underneath a table and write each spelling word while laying on her back. As a self-professed spelling geek (I squeal with delight when ESPN broadcasts the Scripps Spelling Bee! 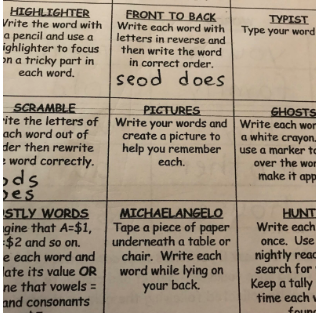 ), I am thrilled to see her elementary school provide explicit instructional time for word study, orthography and spelling. Spelling is too often overlooked in K-5 English Language Arts instruction. In a 2008 study, researchers noted that only four percent of instructional time in first- and second-grade English Language Arts was devoted to spelling or spelling-related activities. Some may argue that spelling is an antiquated concept. After all, students today rely on their computer’s spellcheck and autocomplete features of smartphones. If “cuz” is commonly accepted in texting, do students really need to learn the proper spelling of “because”? Common Core standards set grade-level expectations but give little guidance on how spelling should be taught. Indeed, spelling holds an important role in a child’s language and literacy development. Students who are better spellers are better readers and writers. There is synchrony among reading, writing and spelling development; the way in which a student spells a word provides important information about how the student reads a word. 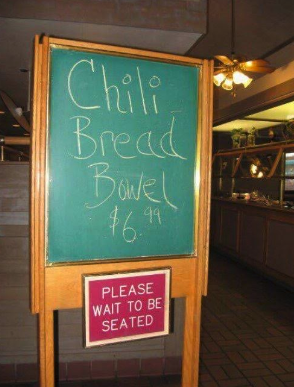 And if you don’t believe the research, look at this photo (no, it wasn't photoshopped) to prove that spelling matters! Though spelling instruction today is by no means antiquated, our current instructional approaches are. Walk into any elementary school classroom today and you will likely find that the spelling instruction is largely similar to the spelling instruction of previous decades. The most common spelling instruction in classrooms today is a rote memorization approach. Here, students are given a list of words at the beginning of the week, often linked by a common linguistic feature. Students copy the words multiple times, write them into sentences, sort them into alphabetic order and play word hunt games with them. The culminating event is the weekly spelling test, in which the teacher dictates the word, students regurgitate them and are evaluated on their accuracy. With this spelling approach, there is no room for differentiation. 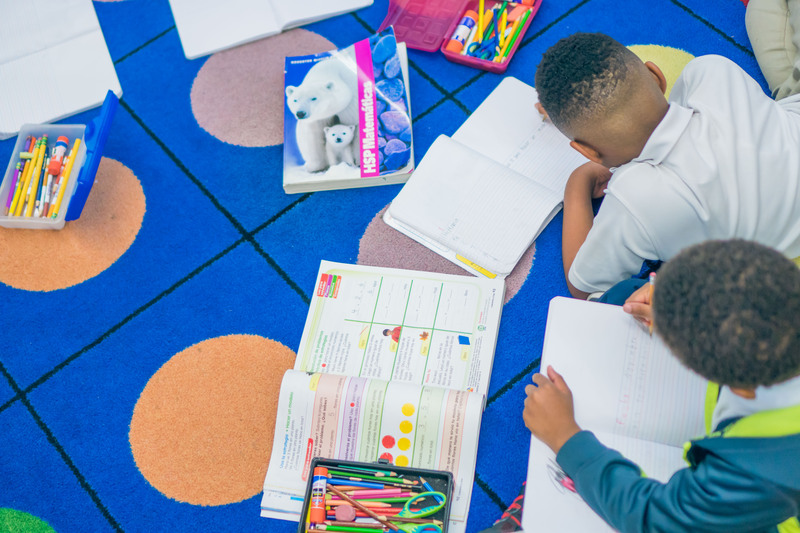 Instead, our instructional time is far better spent with word study, an approach that integrates phonics, spelling and vocabulary instruction. Word study teaches students to closely examine words to discover patterns, regularities and conventions of the English language. Throughout a week of instruction, students manipulate, move and sort a list of words with the end goal of automaticity and accuracy. 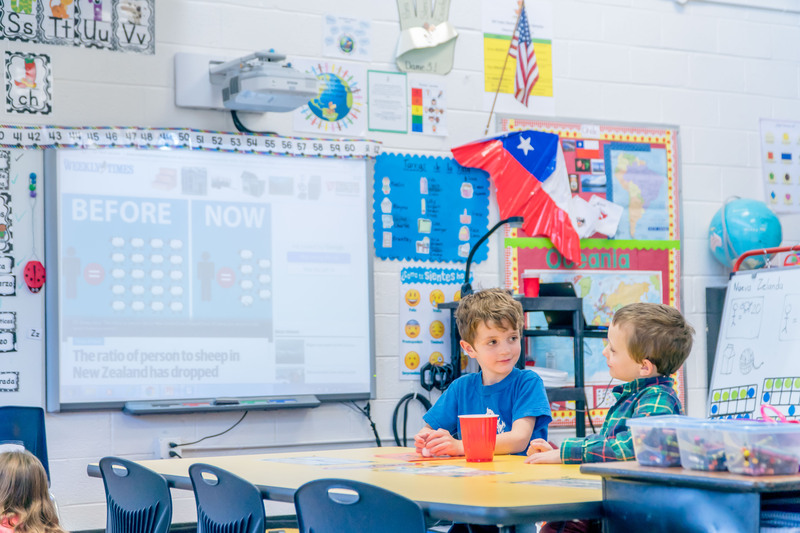 Moreover, word study integrates more than spelling alone; in this approach, students explore words by their spelling, meaning and grammar connections to improve their vocabularies and orthographic knowledge. Are you familiar with word study? Could your instructional routines use a little updating? Think back to the assignment my daughter was completing. What was its instructional value? How can you engage your students as you teach spelling, orthography and word study? Teachers need and deserve intensive time and support to explore word study curriculum. This belief is exactly what inspired me to create my course, “The Wonderful World of Word Study”. As we commit to effective spelling instruction and meaningful teacher training, we follow a model of developmentally appropriate, active learning. Are you ready to transform your spelling instruction? Incorporate word study in your classroom. Enroll in the course here.